Manchester United - opinion and analysis. So far our prediction curve has been pretty close to the mark. 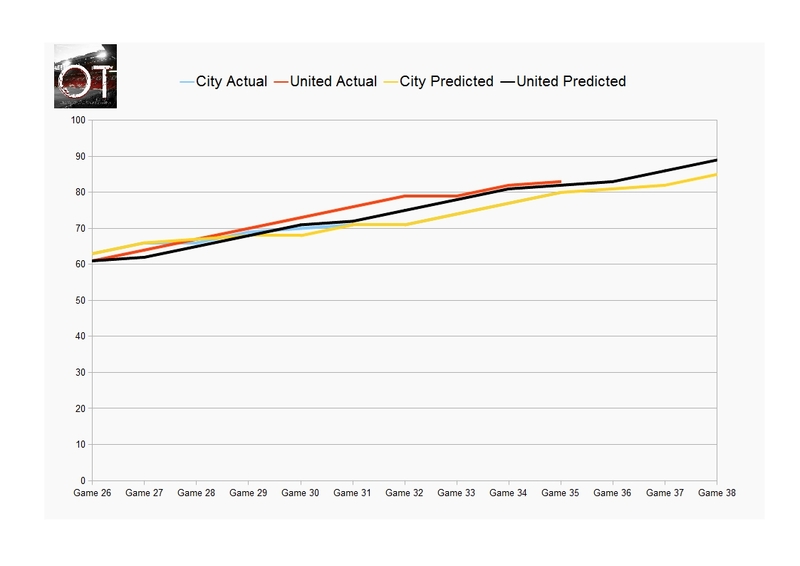 City's actual and predicted curves have converged. We rightly predicted that they would have 80 points after 35 games. We had also expected United to be on 82. As it stands the reds have 83. Lets hope the rest of the season follows our expectations. The Manchester United way is best. copyright OTmcr Old Trafford Manchester. Awesome Inc. theme. Powered by Blogger.